Slovenia boasts a rich cultural heritage. Known for its spectacular Postojna Karst Cave and the fairy-tale like Lake Bled, yet this country has so much more to offer. Surrounded by Italy, Austria, Hungary and Croatia, this mountainous country has historically been the crossroads of Slavic, Germanic, and Romance languages and cultures. 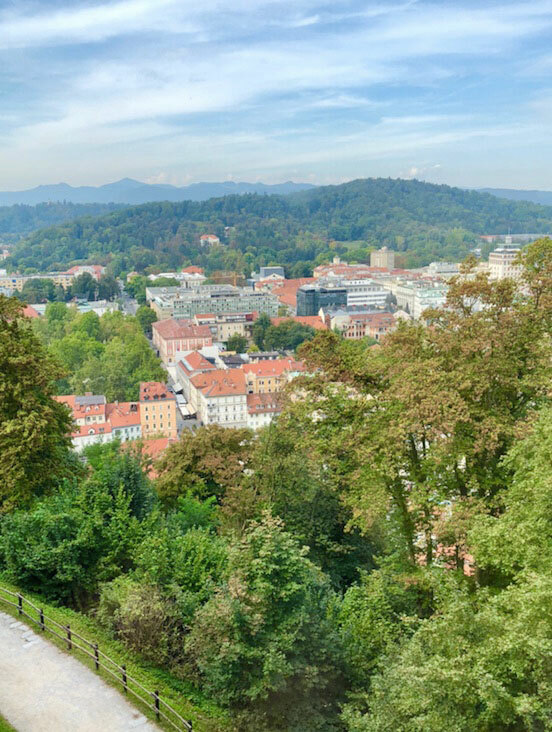 Over half of the territory is covered by forest so when you are going to Slovenia by plane, make sure you get a window seat in order to enjoy the view of magnificent mountains dotted with lush and rolling green valleys. 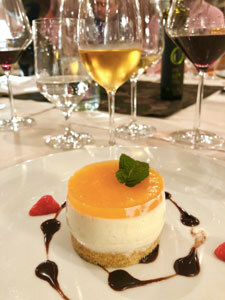 Slovenia is also a paradise for foodies and wine lovers. Just flip through this mouth-watering online magazine called ‘Taste Slovenia,‘ published by its tourism board, featuring all the regional Slovenian cuisines and you might already want to book a flight! Wines are equally exciting. Slovenia has a very long history of winemaking and grapes are mainly grown in three wine regions: Primorska (west), Posavje (southeast) and Podravje (northeast). In 1823, the Archduke Johann of Austrian ordered “all noble vine varieties that exist” to be planted on his property in Maribor, Podravje. Since then, many international grape varieties, such as Chardonnay, Sauvignon Blanc, Pinot Gris, Pinot Blanc, Muscat, Riesling, Pinot Noir were introduced to inland Slovenia. The westernmost Slovenian wine region, Primorska, is the most important amongst the three. There are around 6,490 hectares of vineyards in the region. Being close to the Italian border, you can no doubt sense the Italian influence. 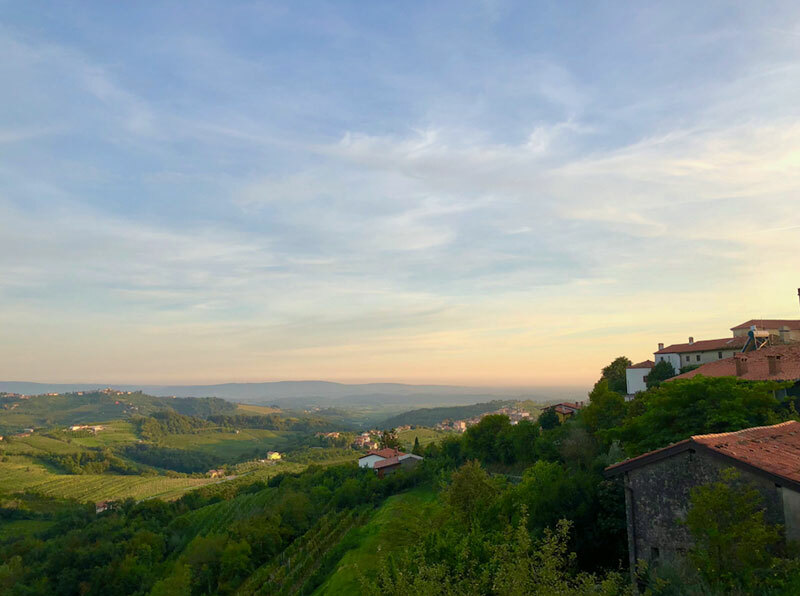 Recently, I had the opportunity to visit Goriška Brda (or ‘Brda’) in the north of the Primorska region, which is right across the Italian border. 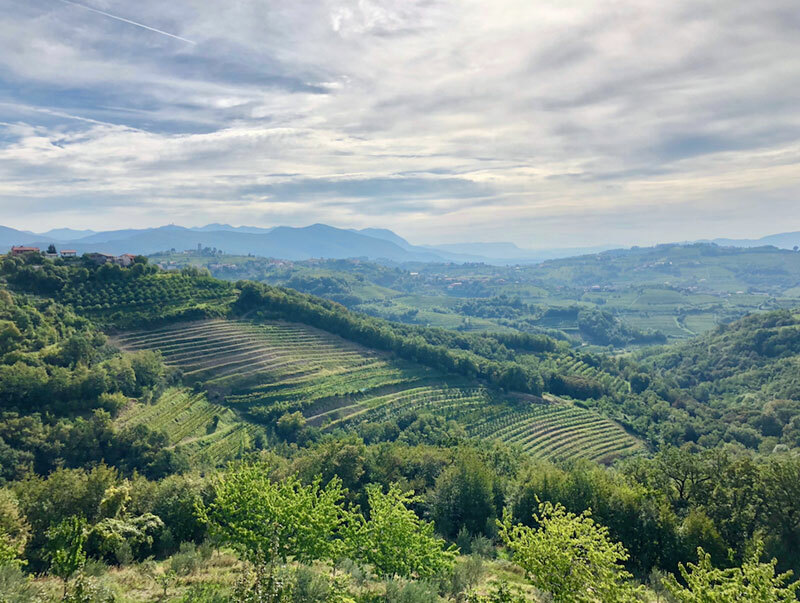 Though in fact, it is very difficult to know the real border line, Brda can probably be seen as a continuation of Collio Goriziano region across the border in Friuli, Italy. Coming from the capital city Ljubljana by car, it takes around 1.5 hours to reach Brda. Not long after leaving the motor way, you will find yourself in Italy, driving around somewhere in Udine! But then, all of a sudden, you will see a verdant countryside and notice a tiny sign saying “Slovenia,” you know you are back in the country again. My destination was the biggest wine cooperation in Slovenia, Klet Brda, in the village of Dobrovo. Driving pass some picturesque villages surrounded by undulating hills and vineyards, it is easy to see why Brda is dubbed “Slovenia’s Tuscany”. Being the biggest in the country, Klet Brda works with around 400 wine growers and only processes and produces wine from grapes grown in the region. They have an impressive range of wine, white, red, rosé and sparkling, made from familiar grapes such as Chardonnay, Pinot Grigio, Sauvignon Blanc, Pinot Bianco, Merlot and Cabernet Sauvignon etc. Not to forget also some local specialties such as Rebula (Ribolla Gialla in Italian) and Pikolit (Picolit in Italian). Rebula is an ancient white grape variety from Friuli-Venezia Giulia, typically with light body, hint of floral and has refreshing acidity but can also be made in various styles. Here in Brda, the best Rebula are grown in the higher slopes to allow them to develop the flavours slowly but also to retain the acidity. Additionally, they make a special blend of Rebula and Sauvignon Blanc just for the UK market and can be purchased through Majestic Wine. Pikolit is another local specialty in the Italy-Slovenia border. 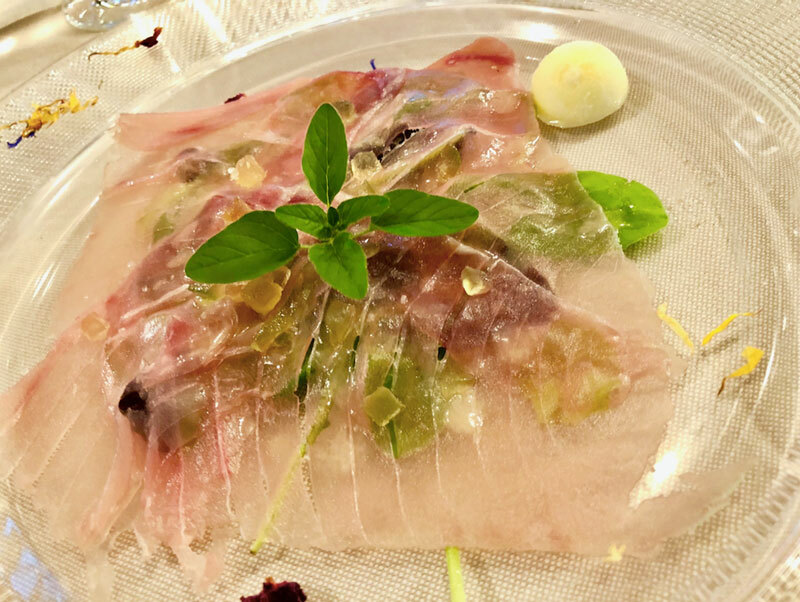 It is a white grape and became famous throughout Europe in the 18th century when Conte Fabio Asquini started to export the wine bottled in exquisite hand-made Murano glass and sold at a high price. It is said that even the Pope liked it at the time. However, the variety was almost extinct due to the phylloxera epidemic in the late 19th century. Luckily some survived through it. The plantings of Pikolit remain quite small in Slovenia. Klet Brda has around 2 hectares and uses it to make a fantastic Pikolit dessert wine that has floral, peach, dried apricot and acacia honey aromas but sadly not yet available in the UK. Klet Brda has made some stunning Pinot Grigio and Pinot Bianco from their Quercus, Krasno and Bagueri ranges. Both are full of characters and expressive. Pinot Grigio is flavoursome, not the lighter style as their Veneto counterparts in Italy. Pinot Bianco here is opulent on the palate. It’s dry and refreshing with green apple and grapefruit flavours but also very food friendly. Krasno Pinot Bianco can be found in Majestic Wine and Quercus Pinot Bianco is available through hundreds of Young’s Pub in the UK. Klet Brda is open to tourists and wine lovers who love to try their wine. 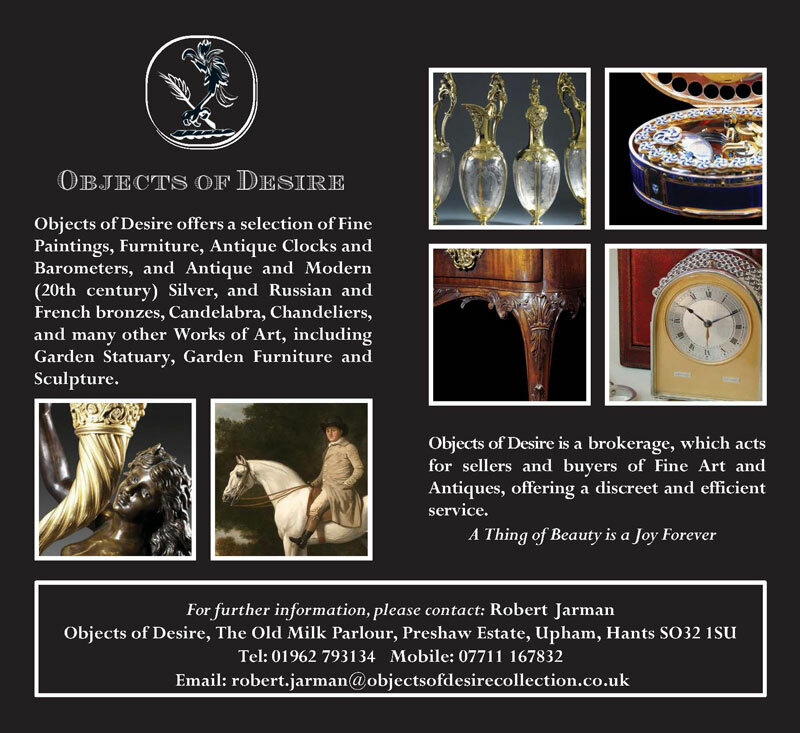 Tastings can be booked through their website . Apart from wine tastings, don’t forget to visit the charming fortified village of Smartno, Dobrovo Castle, and to appreciate a panoramic view of Brda from Gonjace Tower. And of course, make sure you enjoy lots of local wine and food! They have a fantastic restaurant in the hotel and you can enjoy the striking view of the village Smartno from here. *They are right inside the Dobrovo Castle, offering regional cuisines. *This is a fish restaurant by the river in Nova Gorica. Make sure you go to the roof terrace to enjoy the view before you go for the meal. 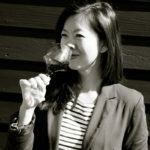 Originally from Taiwan, Leona has been working in the wine industry for more than 10 years as freelance wine writer, translator and educator. She wrote and translated for Decanter Magazine (Chinese Edition in Taiwan), Le Pin Magazine in Hong Kong and is the UK & Europe Correspondent for the most influential wine and spirits magazine in Taiwan (Wine & Spirits Digest). She is also the translator for The World Atlas of Wine, American Wine and Natural Wine. 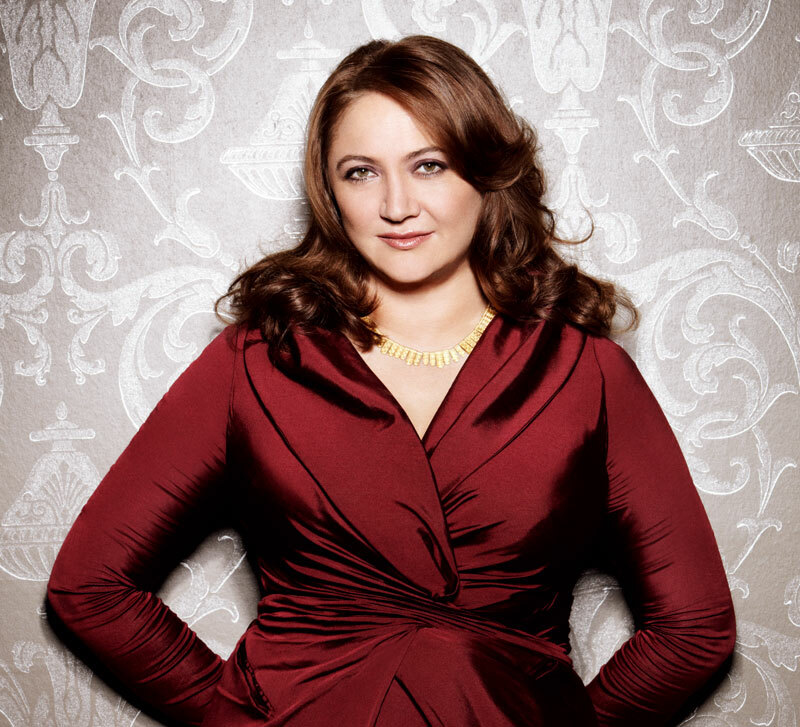 She obtained her WSET Diploma in 2016. 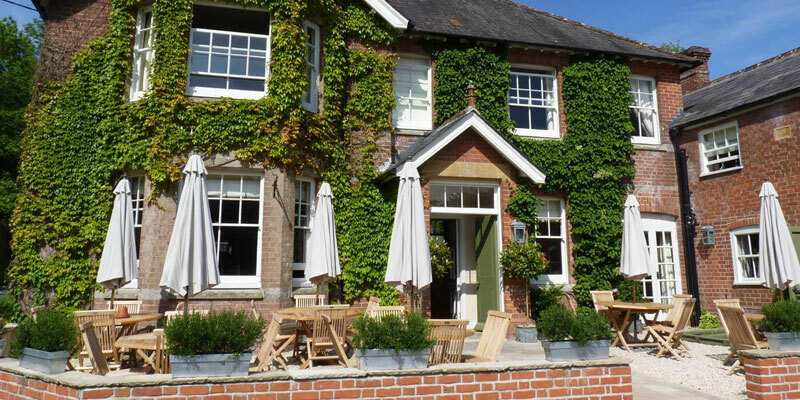 The King John Inn at Tollard Royal in Dorset is one of the growing numbers of gastro, or bistro pubs with enough rooms to accommodate a shooting party, and good enough food and wines to make a team of guns and guests want to have dinner and stay there on the night before a shoot. The King John Inn is just one of many such pubs. Tollard Royal is a charming village with a 14th Century Church in the middle of what must surely be one of the largest concentrations of good shoots in a small area anywhere in the south of England. 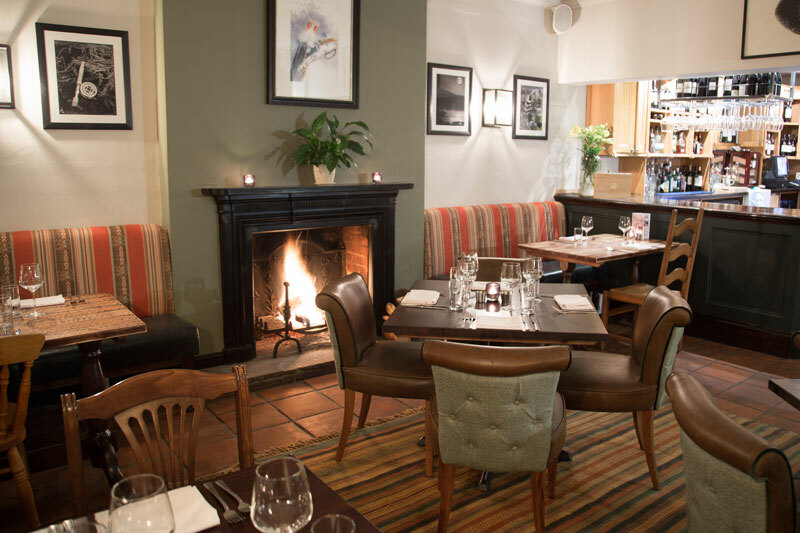 Other ‘gastro’ pubs and notable establishments along the Dorset Wiltshire border include the Beckford Arms, near Tisbury, the Lamb Inn at Hindon, Howard’s House Hotel at Teffont Evias, and the Museum at Farnham. All these pubs have created comfortable and stylish accommodation and provide superb food and friendly service for frequent shooting parties during the season. For instance the King John Inn at Tollard Royal has no fewer than 70 shooting parties per season thus providing a very welcome and substantial contribution to its turnover and profits. Assuming an average spend of £200 per head, for dinner, bed and breakfast with an average of 10 guests per party, this creates income of £2000 per shooting party, which multiplied by 70 shooting parties per annum generates a staggering £140,000 of income that otherwise would not exist. It is therefore easy to understand why an increasing number of local Pubs are ‘raising their game’ and improving and upgrading their facilities to attract this lucrative market, creating a welcome source of income for the trades people engaged in these ‘up-grades’. Shooters spend 2.7 million work days on conservation. Historically the larger and longer established shoots are on estates that often had houses designed, or extended, to accommodate the large shooting parties of the Victorian and Edwardian eras, and in some cases these are reserved for the exclusive use of their owners and their guests. However, roving syndicates are more likely to stay in the local pub or small hotel where they receive a warm welcome and good service, and this all adds to the camaraderie of dinner the night before a shoot and at breakfast the next morning, and the anticipation of a great day ahead. As far as the owners of these shoots are concerned the visiting guns provide much needed income for the estate but also for the teams of loaders and beaters who are crucial to a successful days shooting. 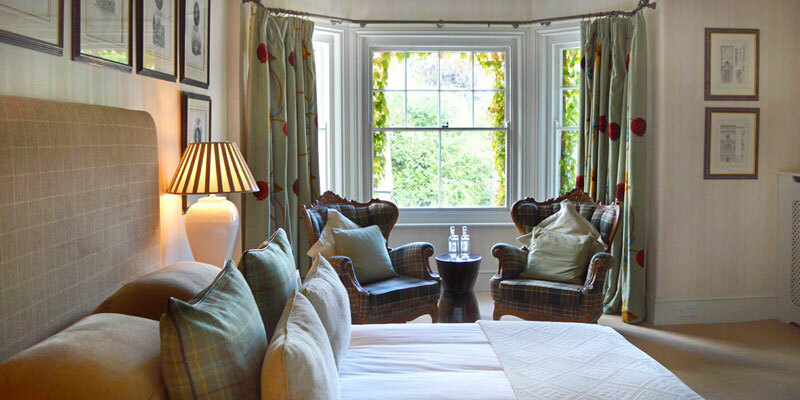 There are few things more appealing to a sociable soul than the shared experience of a friendly shoot in beautiful countryside on a beautiful day, but the first impression of the pub or hotel where you have arrived after a long journey is dictated by the warmth of the welcome you receive. When we arrived at the King John Inn, it was nearing the end of its Sunday Lunch session, and the place was crowded with tables demanding their bills, but the efficient staff, led by Paolo Corgiolu, ably supported by Kate took good care of us, and made us very welcome, despite the other pressures on them. They quickly found us a table for a late lunch, and we ordered two ‘starters’ from the main menu, chosen since we were saving our appetites for supper,. Two glasses of wine appeared without delay and we could begin to relax and take in our surroundings. The place had a good ‘vibe’ or dare I say, ‘trendy’ feel similar to that found in London. I struck up a conversation with a couple on an adjoining table by admiring their Cocker Spaniel and I asked if he shot with it, only to discover that he had a gun on an Army Shoot at the Central Ammunition Depot at Bramley, near the Duke of Wellintgon’s home at Stratfield Saye which my late father ran for several years in the late fifties, and on which I know another current member, namely Andrew Speed. ‘Speedy’ to his friends, was the Adjutant at Sandhurst, and is now living in a ‘grace and favour’ house in Horse Guard’s Parade from whence he organises all the ceremonial events, including the Trooping of the Colour at Her Majesty’s Birthday parade. This is proof, if it were needed, of the small world the shooting fraternity inhabit! Anyway, after our modest but excellent lunch, we retired to our very spacious double room with a King-size bed and a beautiful marble floored ‘en-suite’ bathroom with free standing roll top tub and separate shower with enormous rose. This is the largest of the eight bedrooms available at The King John Inn, five of which are in the main building and three others in a converted barn opposite. All are beautifully decorated with antique pieces mixed with modern touches to create rooms in which you just want to linger. Recently I went to Stockholm for a long weekend. I am not sure if it was due to the cold weather, my habits or just unconsciously trying to stay professional even whilst on holiday, I found myself constantly in search of a decent wine in the supermarket to go with my dinner, but to no avail, nothing was found. The only thing I could see in any supermarket was terrible-looking non-alcoholic wines or beer. I did come across a wine shop on a Saturday afternoon, but guess what, it was closed at 3pm. Coming from the UK where you can buy booze 24/7, I was in shock. Who would close a wine retail shop at 3 pm on a Saturday? Then my wine-professional-self kicked in. Suddenly I got it. For years, I have learnt that the Scandinavian countries have government regulated alcohol monopoly in place. Now I realize how it works. The Swedish government operates a monopoly on the alcohol retail sales. Anything above 3.5% ABV will need to be sold through the 430 plus government-owned “Systembolaget” wine shops. Originally, everything, including the import and export, production and both on and off-trade alcohol sales, was controlled by the government. However, in 1995, when Sweden joined the EU, they were allowed only to retain its retail sales monopoly on alcohol. Therefore, nowadays it’s possible for business to import and sell wines to restaurants directly. But to buy wines to enjoy at home, you will need to go to Systembolaget. As a result, my trip in Stockholm ended up with only a glass of Spanish wine, three times the usual price I would pay in the UK, from Ribera del Duero in a restaurant. But at least it was really delicious! 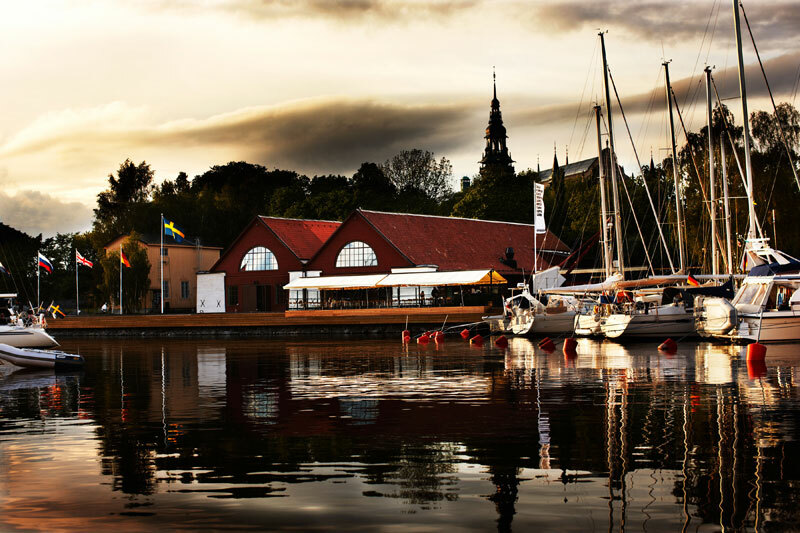 It seems like Stockholm might not be an ideal destination for wine travel then. However, to my surprise, I found a little gem in the island of Djurgården amongst all the major tourist attractions. 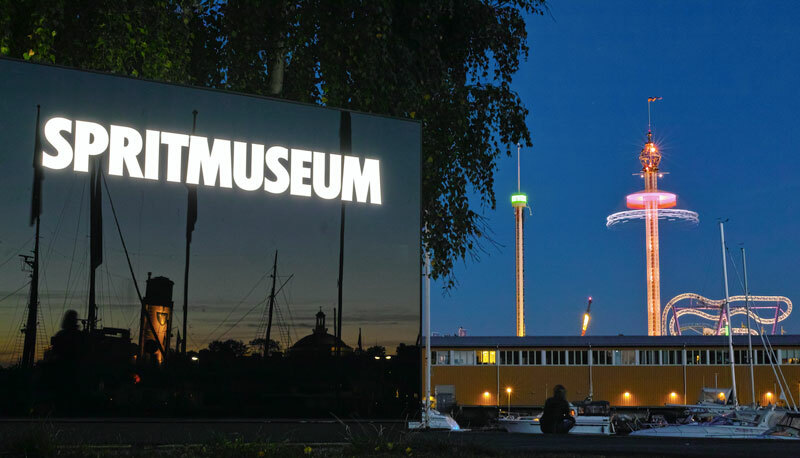 It’s a boutique style Museum of Spirits (SpritMuseum – dedicated to alcoholic drinks, not ghosts). Small it might be but it is modernly decorated and equipped with a tasting room, a bar and a restaurant. I went into the special Champagne exhibition first where you could learn everything about Champagne. Just when I thought that this museum was disappointingly tiny, I turned into the main spirits section and was totally blown away. Admittedly, it is not massive. But I was extremely impressed by the well thought through layout and various aroma pumps that are on display. Aromas of all major spirits such as Cognac, Whisky, Calvados, Bourbon are there for you to sniff. Then more astonishingly, the aromas of many rare ingredients for spirits making, for example, wormwood, which is for making Absinthe is there too for you to smell. Being a wine and spirits educator myself, I have been dreaming of such a ‘classroom’ to show students how those ingredients smell like. 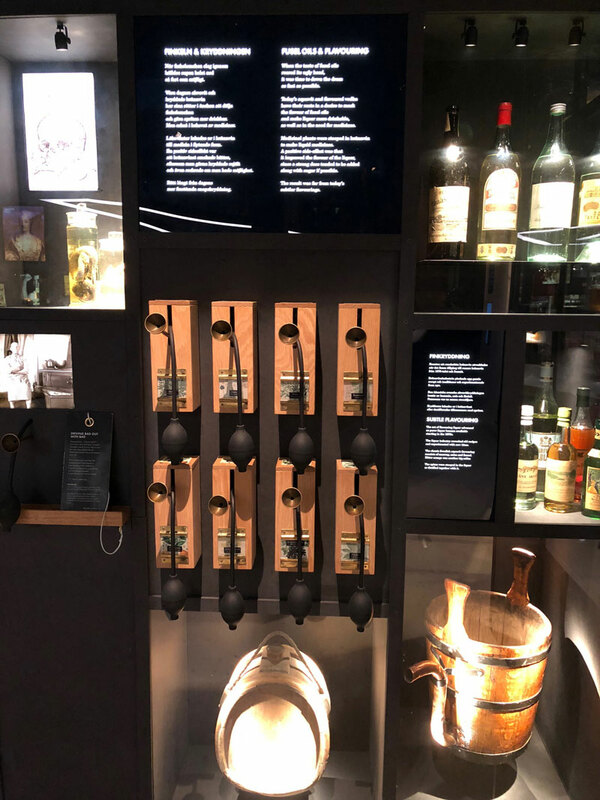 Apart from the aroma pumps, there are different sections where you can learn about spirits making in an interactive way. 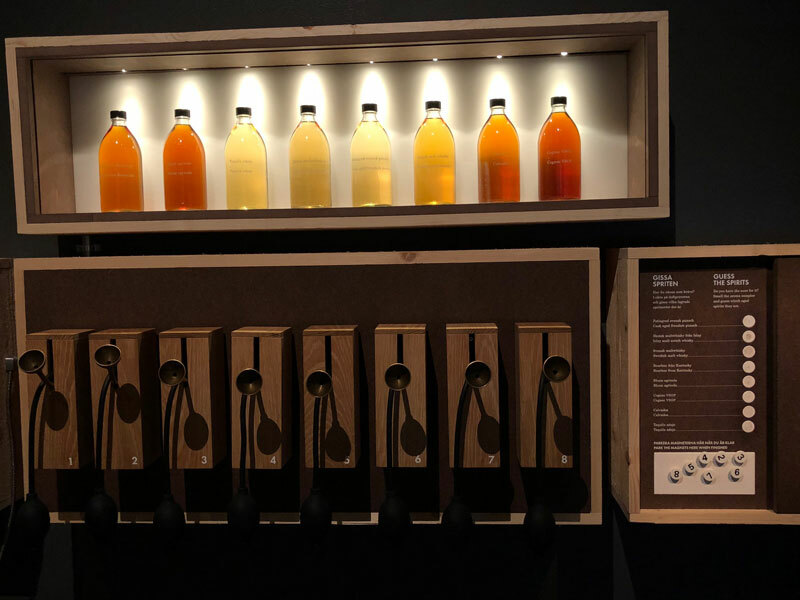 Even the sometimes difficult to understand distillation process has been made easier to understand by the beautiful animated film that is on show. In short, this is heaven for people who like to learn more about spirits in a very engaging way. 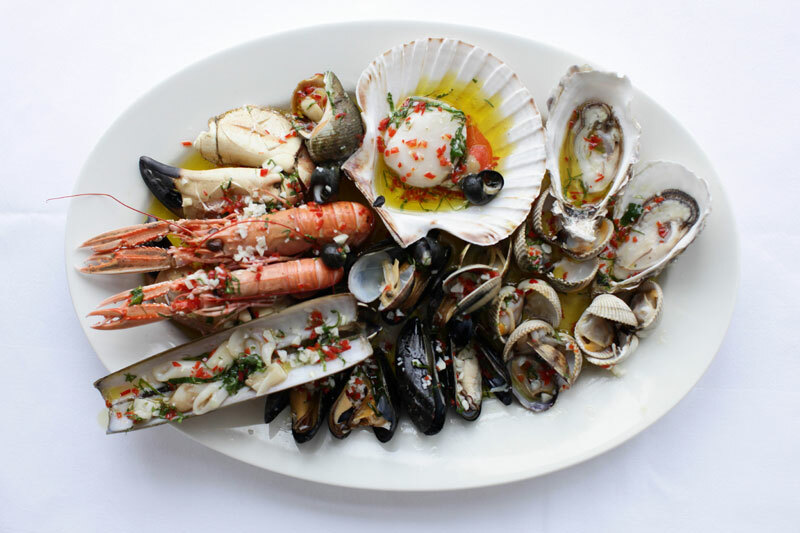 Apart from the main exhibition sections, there is also a bar and a restaurant called The Dining Room headed by Chef Petter Nilsson who spent 15 years in Paris at the acclaimed neo-bistro La Gazzetta which he co-owned. 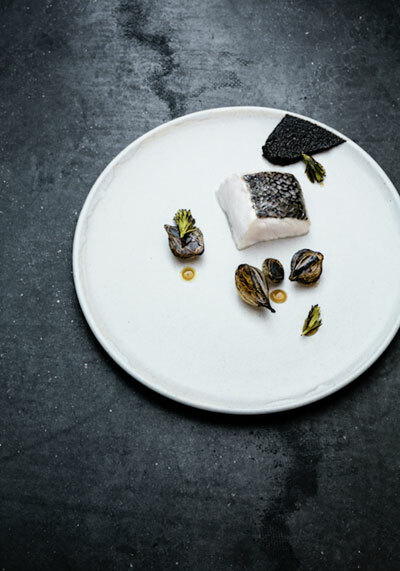 Delicious ingredient-focused, season-specific Nordic dishes are served here. After learning all about spirits, admiring the seasonal collections, it is definitely a treat to settle down and enjoy a beautiful and nourishing Nordic meal here. Not to mention that the view from the restaurant is picturesque, which is a bonus! SpritMuseum: Djurgårdsvägen 38-40, 115 21 Stockholm, Sweden. The question is not an easy one. 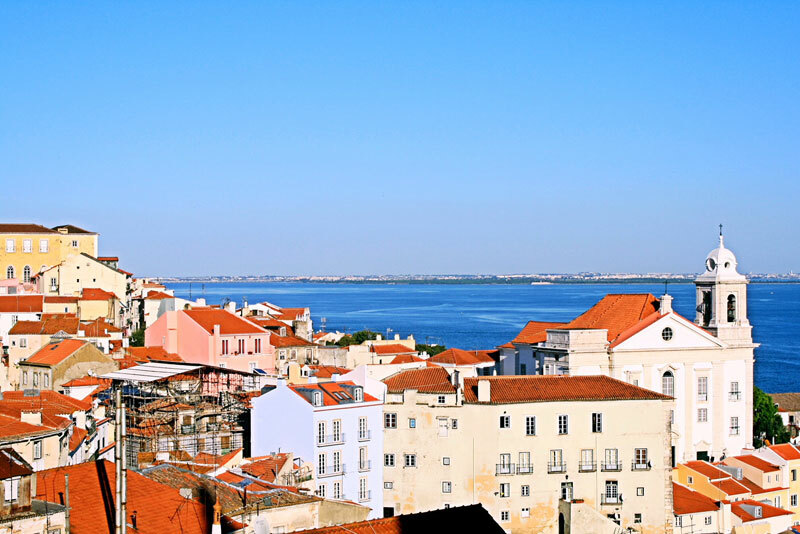 Famous for its Port wine and infamous for many cheap and cheerful Rosés, Portugal wine industry have undergone some dramatic transformations in the last few decades. 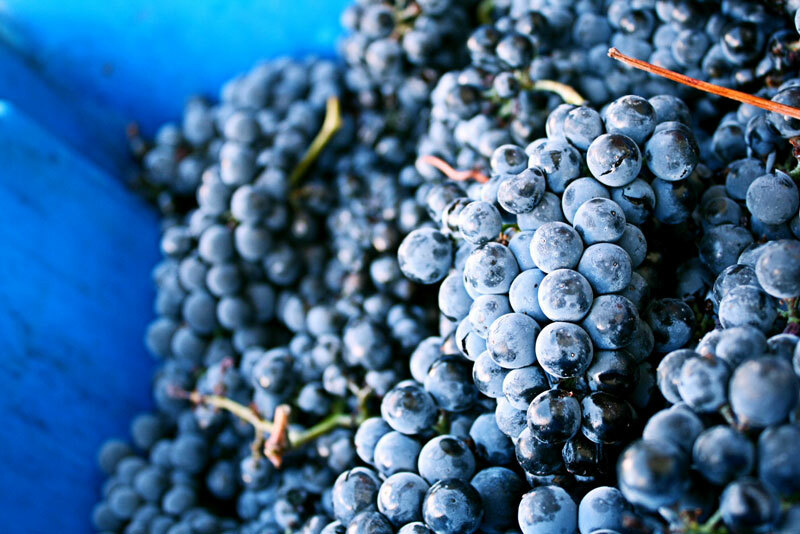 Huge funding had been injected into many different regions, which helped to improve winemaking techniques, equipment and vineyard management. But the Portuguese, long been criticised by some marketing experts for their unpronounceable and difficult-to-sell grape varieties, continue to guard and cherish their native varieties and slowly but surely prove to the world that you don’t always need Cabernet Sauvignon, Chardonnay or Sauvignon Blanc to win sales. Focusing on what you have, embracing new technology as well as protecting ancient traditions, one can make impressive wines and proudly show the ‘terroir’. During my short stay in Montpellier, I thoroughly enjoyed trying the below Portuguese organic ‘terroir’ wines. 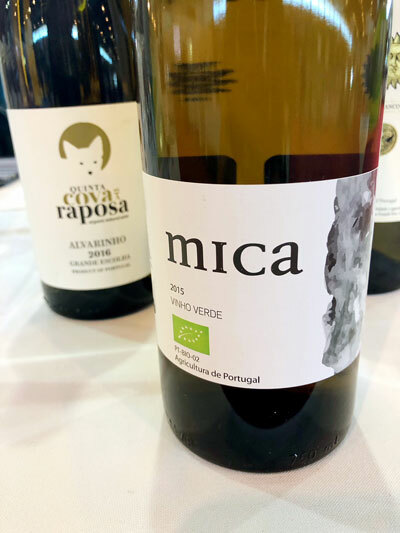 Made by a group of four organic wine producers in Vinho Verde region in the northern part of Portugal, Mica is their flagship wine made by a blend of Loureiro and some Azal and Trajadura. “Loureiro” means “laurel” and typically shows aromas reminiscent of laurel flowers, orange blossoms, apple and peach. It has refreshing acidity balanced by some residual sugar (19 g/l). I asked the producer Antonio Sousa Pereira if Mica is always off-dry? The answer was, “it depends”. He told me that 2017 was a very dry year in the region and Loureiro had lots of sugar accumulated by the time of harvest. Every year, Mica has different style ranging from bone dry to off-dry. They just let the nature take its course. A blend of 80% Loureiro and 20% Vinhão made by this biodynamic producer. This is not your usual Vinho Verde! It’s quirky but it’s also ‘traditional’. Using the ancient method of blending white and red grapes, fermented dry with ambient yeast in clay amphora, the wine shows some funky aromas initially, leading to fresh cranberries and herbaceous and earthy notes. I also admire their wine label which shows a Faun (a mythological half human–half goat creature) enjoying some music whilst the vines and grape juice are working hard together to produce delicious wines. Unlike T.S. Eliot, I love April. Who can resist the charm of spring when everything becomes anew? When young green shoots and spring blossoms of all colours dotted the luscious pastures and birds sing happy tunes. 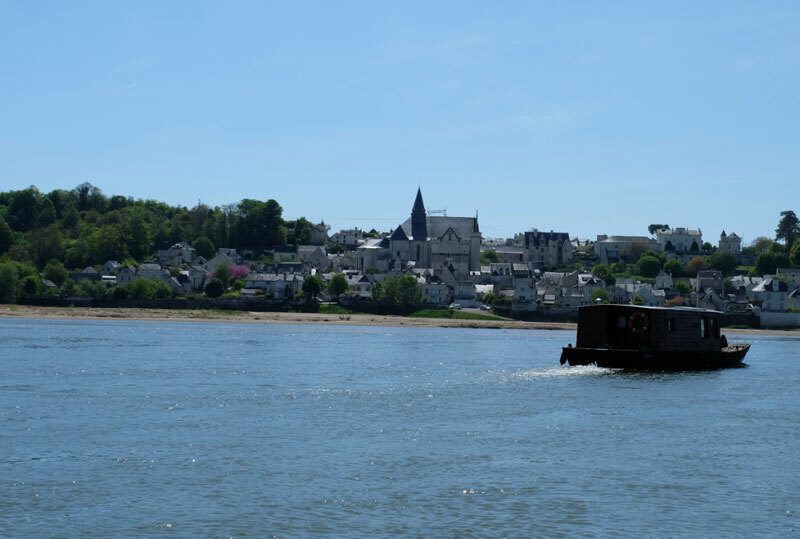 Well, this was pretty much the image in front of my eyes when I visited the Loire Valley in France in mid April. OK, I’ve heard this: “If you have a Coravin at home, that means you don’t have enough friends.” Well, it maybe true. But recently I got a Coravin for my birthday and I have to say, it’s one of the best wine gadgets that I’ve ever had. 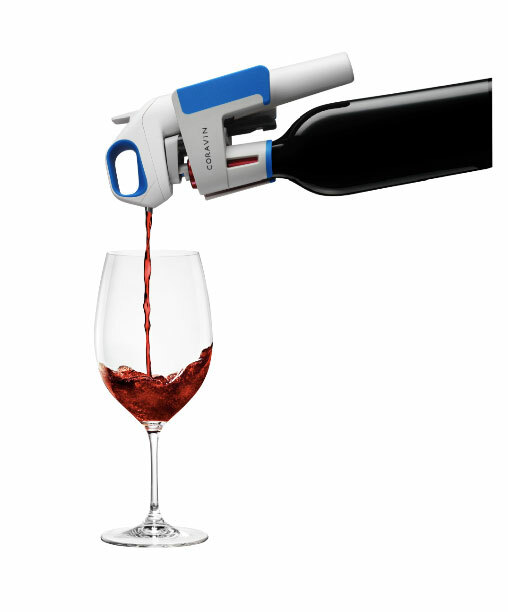 Coravin is simply a high tech wine pourer that allows you to sample wine from a bottle without uncorking it. Sounds like a magic trick I know, but it has sound scientific background behind. Invented by Greg Lambrecht, MIT nuclear engineer turned medical device professional, over 10 years and after 23 prototypes. Coravin, launched in 2013, initially caught the eyes of many sommeliers in high-end restaurants and only recently became more accessible and affordable to consumers. Recently we were in the magical county of Cornwall where we were fortunate enough to time our visit with an unprecedented period of sunshine filled days. To be precise we were in Trebrethrick only a few miles from Rock and a short boat trip across the Camel estuary to Padstow, now fondly known as Padstein due to the predominance of Rick Stein eateries. However, sadly for us on this trip we were unable to try any of Rick Stein’s emporia but on our return we travelled to Sandbanks in Dorset to try the latest establishment in his burgeoning empire. Well, viniculture is one enduring legacy all bon vivants should be thanking the Romans for. They had vineyards as far north as Lincolnshire but by the 19th century production had almost died out mostly due to pests. 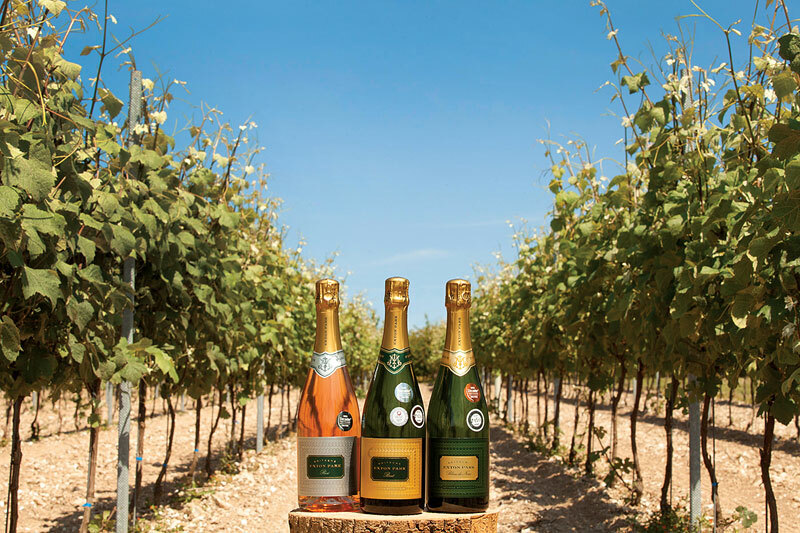 Thankfully with the huge demand in the UK for locally sourced products and the increasing interest in food and drink from small producers, the English wine industry has been well and truly resurrected in the 21st century. As a whole the UK’s wine industry has upped its game in recent years and has continued to make its mark in international rankings as customers are increasingly realising the high quality of the wine produced in the UK. 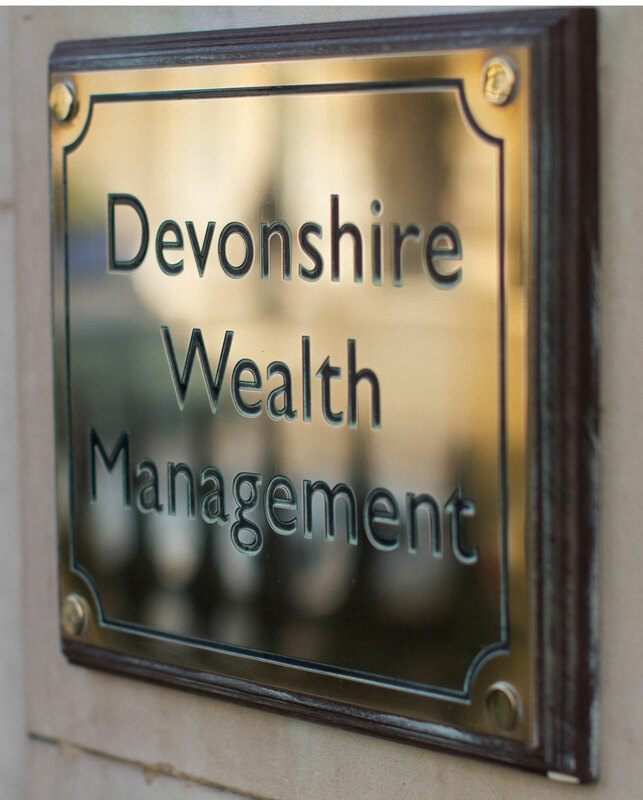 As a result of this demand a greater number of producers are flocking to the market. 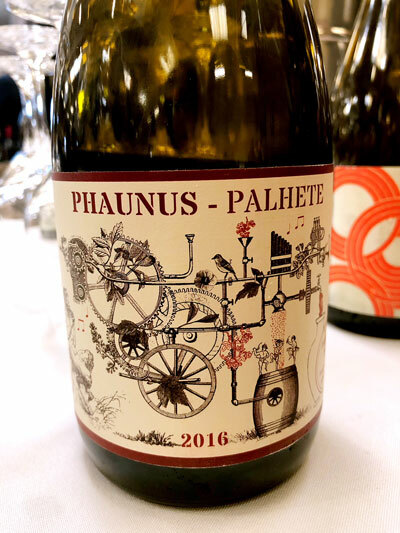 I can still remember vividly what the late European Director at Wines of Chile (a generic organisation), Mr Michael Cox, said in a Chilean wine seminar in London a few years back. “For a long time,” he said with an amused expression, “Chilean wines can only satisfy demand but can’t excite.” Back then, those seminar attendees smiled in agreement. But now, people can grin for Chilean wines for many good reasons, as wines from Chile have never been so exciting. One of the driving forces behind the rapid transformation of the image of Chilean wines has to be attributed to Mr Eduardo Chadwick, the President of Viña Errázuriz. I was all over the place attending wine fairs in the first half of 2015. First up was an organic wine fair in Montpellier in January, followed by ProWein in Düsseldorf. Then came the London Wine Fair in early June. 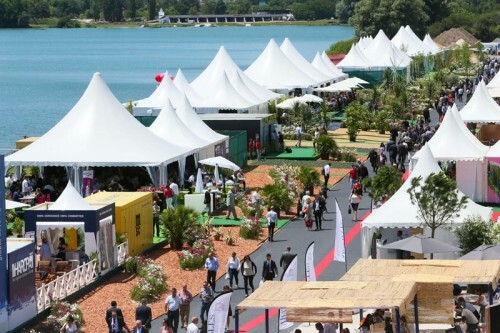 In mid-June, I found myself in Bordeaux for the biennial wine fair, VINEXPO. There are so many different wine fairs in Europe. Are they all that different? Do you need to attend all of them? The answer, though it depends, is probably “No”. For me, if I have to pick only one to attend, I will most likely choose the well-organised and super effective annual ProWein in Düsseldorf. After all, who can beat the German for their efficiency?